More than 4,596 Boxers Rescued, and Counting! Ready to Help a Boxer in Need? When taking a dog into the program, they sometimes need a temporary home while in search of their perfect "FURever" home. 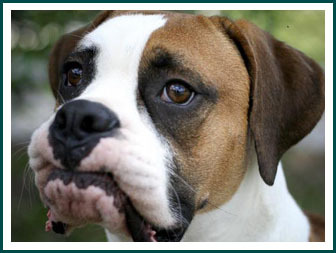 Fostering a Boxer helps give a dog a healthy start and a new leash on life. Everyone loves puppies but older dogs deserve attention too. Our silver Boxers don't let a little gray hair get in the way of loving life and are fabulous loyal companions. Consider adding a senior to your family! Seeking a New Best Friend? Can You Foster a Boxer? Help us take the word ‘homeless’ out of a Boxer’s life. FBR depends heavily on donations to fund the substantial veterinary care required to treat Boxers coming from abusive situations, and find them new homes.